Oakmont of Santa Clarita, the Santa Clarita senior living community set to open in early 2016, will be the first Oakmont with amenities like a putting green and multiple elevators, according to Executive Director Margie Veis. Oakmont staff noticed numerous future residents were asking if there would be an on-site golf course, so Veis went to Oakmont Senior Living owners WIlliam and Cindy Gallaher to see if a putting green was a possibility. Additionally, the sheer size of the 80-unit, seven-acre community also prompted the need for Oakmont of Santa Clarita to be the first Oakmont with more than one elevator. Tours of model apartment homes are currently available to seniors interested in both assisted and independent living. Oakmont of Santa Clarita staff are also accepting reservations for specific apartments and adding people to waitlists for specific floorplans. 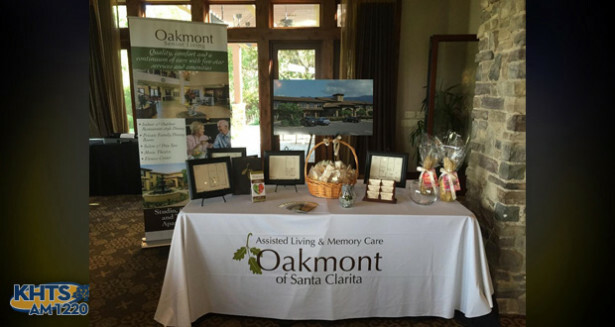 Oakmont is a luxury senior living community in Santa Clarita located on seven acres of land on Newhall Ranch Road. Set to open in January 2016, Oakmont of Santa Clarita is comprised of 80 pet-friendly apartment units, with both independent and assisted living options available. A separate wing of the community, called Traditions Memory Care, will be dedicated to meeting the specialized needs of seniors with dementia and Alzheimer’s disease.